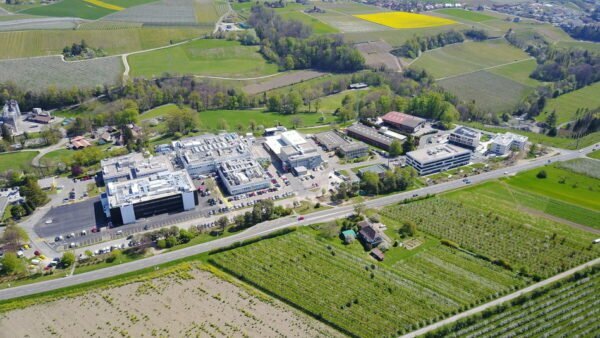 Pharma giant Merck revealed its plans to invest €150 million in its Aubonne biotech manufacturing site in Switzerland to expand manufacturing capacity for its biotech medicines. The investment, which will be between 2019 and 2023, will be made on the construction of a new building dedicated to manufacturing the company’s biotech medicines to be supplied for more than 150 countries. Merck said that the facility will help address increasing patient needs of fertility treatment Gonal-f, cancer drug Bavencio and potential future drugs under clinical development like M7824 (bintrafusp alfa), which is an investigational cancer treatment. Commenting on the investment on the Aubonne biotech manufacturing site, Belen Garijo – Member of the Executive Board of Merck and CEO Healthcare said: “This investment reflects our commitment to ensuring that our medicines always meet the highest quality standards and are readily available to patients all over the world whenever they need them. The Aubonne biotech manufacturing site of Merck. Photo courtesy of PRNewsfoto/Merck. The new Aubonne biotech manufacturing plant will use cutting-edge technologies to be dedicated to aseptic filling and quality control. Isolator technology will be used in the new production lines for the aseptic filling of biotech medicines. One of the lines will be exclusively used for manufacturing freeze-dried formulations, while the other one will be for liquid formulations. The existing infrastructure at the Aubonne biotech manufacturing site will be replaced with technological upgrades and higher capacity by the two new production lines and new quality control labs that will enable production up to 27 million vials per year. Philippe Leuba – Vaud State Councillor, commenting on Merck’s investment on the Aubonne biotech manufacturing site, said: “With this latest investment, Merck is taking one step further towards a strong positioning of the Canton de Vaud as a Health Valley, which already includes 360 companies, 400 laboratories and 20,000 jobs. Construction on the new building at the Aubonne biotech manufacturing site is likely to be wrapped up in 2020 with the new quality control labs to start operations in 2021. The two new lines for aseptic filling are slated to be commissioned in 2023 subject to validation by regulatory authorities. Over the last ten years, Merck is said to have invested over €800 million in Switzerland, including the latest one in Aubonne. Along with the nearby located Vevey site, the Aubonne facility is part of a network of 18 manufacturing plants across the world that are dedicated to the production of Merck’s biotech and pharmaceutical medicines.